I need a new bed or bedhead... and this is what I've found! 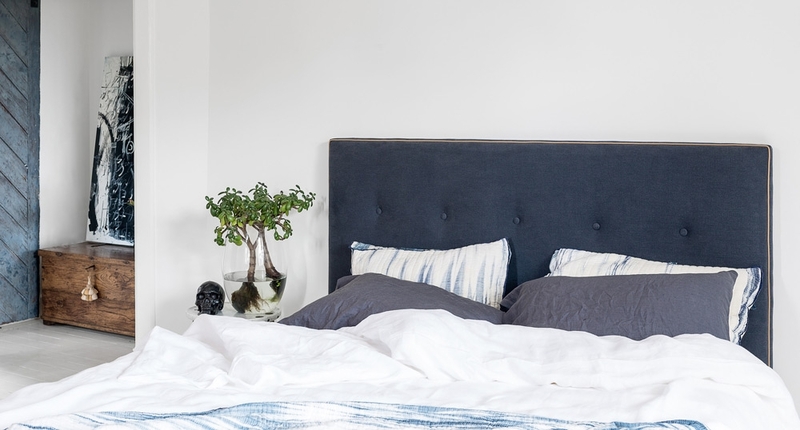 We have been in need of a new bed or even just a bedhead for a long time now... so while I was on the hunt for the perfect piece to complete our master bedroom, I thought it was just plain rude not to share my research with you! Bring a modern edge to your bedroom with the Tara. Clean contemporary lines are softened by the bed's curved base feature, angled solid pine feet and the beautiful upholstered treatment in Oatmeal with button detail. SP: Spring into summer in style with the latest Spring/Summer collection from Forty Winks. Combining craftsmanship, quality and comfort, detailed finishes feature throughout the inspired collections with upholstered and timber frame combinations, fully upholstered beds, timber suites, playful kids designs as well as discreet storage solutions. I'm particularly loving the Tara bed with it's soft grey fabric and Scandinavian vibes. Create inviting sleep spaces for your home with Forty Winks, and wake up wonderful. Representing classic design at its best, the Cino is beautifully tailored with a curved wing detail feature and button detail tracing the bed head arc. The Cino bedside tables and tallboy complement this feature masterpiece perfectly, with solid teak in a natural stain, slender legs and curved edges. Timeless construction and a classic design makes our Charlize Bedroom suite a lasting investment for your home. 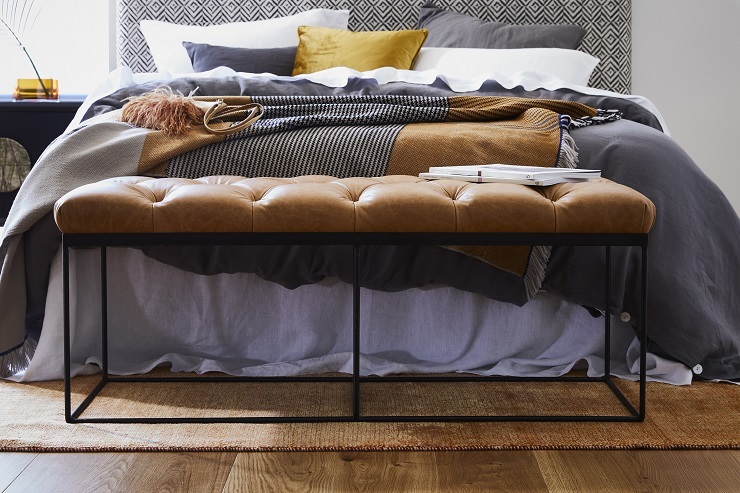 Fine craftsmanship ensures a comfortable sleep space, featuring retro-inspired bracing on the pieces legs and a caramel and black colour tone. Constructed from recycled pine, the Crisp suite features multi-coloured stained treatments giving it a truly unique, one-of-a-kind look and feel. With a playful sense of maturity, solid pine feet and a fully upholstered classic design finished with a button detail makes the Jasper a stand-out option for any kids’ bedroom space. Mexsii launches a curated, interactive online-shopping experience. Combining the latest in 3D online technology and Australian furniture design, this allows customers to personalise their perfect bed head. The new platform is centred around the Design Studio where visitors can navigate their way through a user friendly menu of personalisation options. With the choice to customise height, style, fabrics and Mexsii exclusive trimmings the can create thousands of designs on the one fully responsive 3D tool. “Our focus has always been innovative design complemented by luxurious fabrics and finishes, however we wanted to extend beyond this and really cater to the individual in all of us, ensuring you could make a design that felt personal to you” says Co-founder Merryn Paul. “We are so excited to watch people unleash their creativity with and create combinations that exude their personal style” says Co-founder Sarah Green, “however we were mindful that sometimes too much choice can become overwhelming. To combat this we focused on curation and have selected a range of plain fabrics and artworks which work seamlessly together, making the design process effortless.” An inspiration gallery of bed heads illustrate how elements from the come to life, whilst highlighting complementary combinations. There is also the introduction of the Mexsii Muses – three unique creatives each with their own distinct style – to inspire customers in the design process. The Mexsii Muse designs and inspiration gallery of bed heads can be shopped in their entirety, or further customised in the ensuring customers create their perfect design. “We teamed up with Jason Grant renowned for his relaxed coastal style, Blacklist for their minimalist grunge vibe & The Real Estate Stylists for their classic contemporary approach” highlights Paul. he new site has been built with user experience at it’s core and includes specialised features such as the ability to design in-situ by positioning a bed in front of your bed head. Once you have created your perfect bed head you can even pop it into a styled space to see how it looks with other furniture items and wall finishes. Each bed head is proudly designed and handcrafted in Melbourne. Accessible pricing starts from $979 for Queen and includes free shipping to most major capital cities in Australia. Incy Interiors is adding touch of theatre to the boudoir this season with its range of velvet bed heads. Moss green, vibrant aqua and sorbet pink is set to dominate our little one's and our own bedrooms this season. Influenced by the Elizabethan era,’ this velvet touch’ gives a rich and decadent opulence with timeless elegance. Ohhhh la la.. I can already see my self lounging around on a stunning velvet bed, how divine! Incy Interiors tufted bed head is a handsome choice- controlled and cushy with delicate detail that adds textural interest with a hint of flamboyancy. ‘We wanted to create a collection that helps us step back in time with a little vintage charm,’ says Founder and designer, Kristy Withers. Available in King Single (124cm w x 122cm h) and King (200cm w x 122cm h), each are substantial in size and add dreamy decadence, without overpowering the space. King size bedhead RRP $999, King single bedhead RRP $699. ‘There’s something timeless and eternally alluring about velvet- it’s a fashion stalwart that we’ve applied to our modern-day designs,’ says Kristy. For those who prefer a hint of plush without having to commit to an entire story, get touchy and feely with a Kids Style Incy Interiors Sofa (142cm w x 67cm d x 56cm h) or Ottomon (45cm d x 124cm w x 53cm h). Plush and practical, their clean lines create a ‘contemporary meets classic’ crush so you can venture into velvet with a ‘modern- day’ frame of mind. Ottoman RRP $499, Settee RRP $999. Whether it’s used to bring a pop of colour and lustre to cool tone rooms or to add warmth, depth and texture to an interior space, velvet commands its own definitive sense of chic. Scroll down and get ready to lust over this dreamy, velvety goodness! Spring into bed this summer with Forty Winks’ Spring/Summer bedroom collection. The range features upholstered and timber frame combinations, fully upholstered beds, timber suites, playful kid’s designs as well as discrete storage solutions to create inviting sleep spaces. Forty Winks are leaders in craftsmanship, quality, comfort and attention to detail - if you want design and comfort, Forty Winks is for you! I have a few firm favourites from the latest collection but Apollo is the one calling for me. The Scandi look and feel gets me every time and is further highlighted with the combination of timber and fabric… and a padded bed head, Yes Please! Forty Winks has forged an exclusive design collaboration with renovation twins Alisa and Lysandra, engaging the style stars to design and launch an exclusive four piece bedroom suite. The Australian made collection draws a Scandinavian influence, includes the rawness of timber, the softness of fabric and the elegance of rose gold which creates a contemporary and sophisticated collection of bedroom furniture. “When designing the suite, we set out to create inspiring pieces that were unique, something that hadn't been seen before. We also wanted to stay true to ourselves and with what we believe represents us as designers. We have created a suite that is on trend and unique that will appeal to a wide market, bringing to life something that people could envisage putting in their own bedroom with that added sense of luxury,” said Lysandra Stevens. 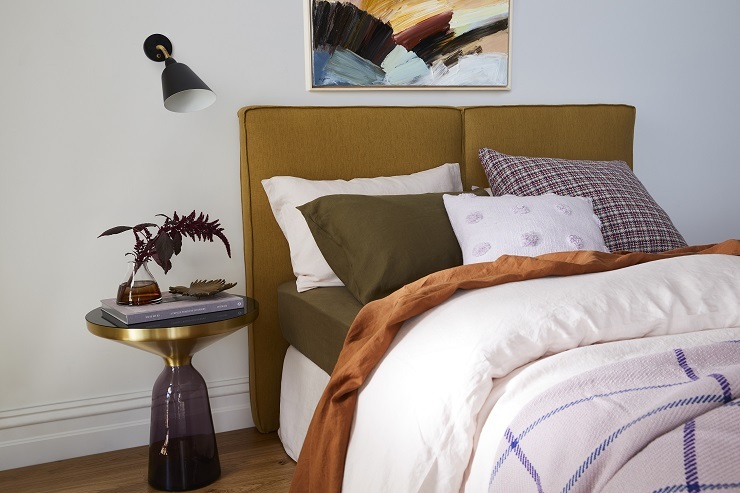 “Forty Winks is an iconic bedding retailer, and an extremely well known and trusted brand so we were thrilled to be given the opportunity to partner with the business to design an exclusive bedroom suite for their customers around the country,” said Alisa Ayres. Asta by Alisa and Lysandra is now available at participating Forty Winks stores nationally for a limited time only. Asta by Alisa and Lysandra - shown with Powder Fabric – available to order with Navy, Natural and Ocean fabric. Hunting for George has been making homes awesome since 2010 and their latest release is a range of Australian designed and manufactured furniture pieces. The furniture designs are uncomplicated, modern and sleek, made with a solid construction of powder coated steel and feature a Tasmanian Oak veneer timber panel. It's simplistic nature ensures that these pieces will compliment any personality or environment that they enter. Style these beautiful beds up with Hunting for George Bed Linen and enjoy your new masterpiece. Hunting for George co founder Jo Harris said - "I was hunting for a bed for my son Oliver. There wasn't really anything out there that I liked enough to invest in. Instead I started sketching up a few ideas and together with my husband Tom we built a simple bed frame at his steel factory and finished the headboard off with a few left over floorboards from our home. Once it was finished, not only did Oliver love his new bed but so did plenty of our friends and family that visited the house. At that stage manufacturing furniture was not even close to being on our radar, but once we looked at this incredible single bed we knew that we had something special on our hands. 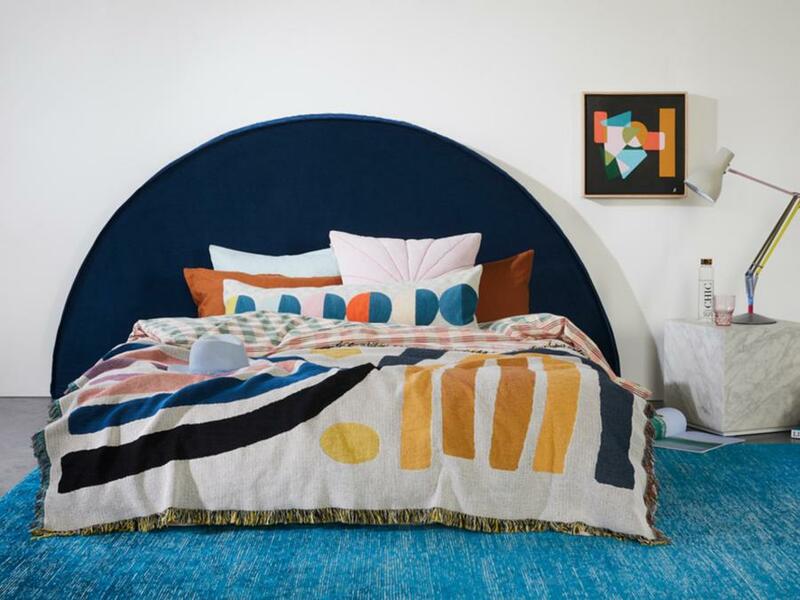 The idea of being able to create a structural piece that would not only complement our bed linen but also enhance a bedroom in a way that we had never been able to achieve before - was an idea that we just couldn't ignore." Write your bedtime story and embrace the change of season in style with the latest Autumn/Winter range from Forty Winks. An inspired collection complete with on-trend main bedroom suites and bedroom solutions that puts the ease into transforming your comfort zone. I must say that I am loving the new range by Forty Winks and they have hit the nail on the head with this latest collection.. Think sleek, modern and Scandinavian. My favourites are the Fraser Bed Head and Base and the Marvin Bed Frame... love the simplicity and colour palette of these babies.. yes please! Marvin Bedroom Suite - The Marvin's sleek look and feel will add a touch of Scandinavian flair to your interior. Finished with brushed elm veneer, a soft and natural aesthetic creates the perfect zen retreat. 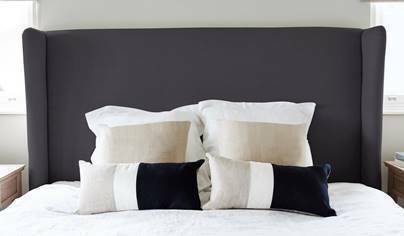 The Fraser Bed head and Base - this sleek and modern bed head and base can be customised to your liking with many colour and fabric options. Keep it simple and classic with this divine bed head. The Austin Bedroom Suite - Simplicity at it's finest, this retro inspired bed is delicately crafted using solid mango hardwood timber, with a unique natural grain feature that varies according to the life history of each tree. The light oak colour stain showcases the beautiful timber grain, and the wood will develop its look and a depth of character as it ages. Azure Bed Head - Orange is the new black. Make a bold statement with the Azure Bed Head in Mango. Finished with fabric, the Azure presents as an elegant bed head that sets the tone for your bedroom space. I am obsessed with fabric bed heads… textured, patterned, dyed, stitched, quilted. You name it, it's out there and you will soon be in love with it.